Sponsored post: This post is sponsored by Eco Garden Systems LLC, but the content and opinions expressed here are my own. Eco Garden Systems LLC provided me with an original Eco Garden System for review purposes. This growing season I had the opportunity to trial the original Eco Garden System — an elevated raised bed with self-watering capabilities. 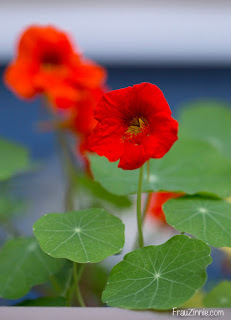 I've been sharing my experiences throughout the growing season in previous posts on Frau Zinnie. I grew a variety of edibles in the raised garden bed, including kale, lettuce, bush beans, nasturtiums, parsley and celery. Before the Eco Garden System, I mainly used fabric grow bags to grow edibles along my driveway, the portion of my property that receives full sun. The problem with fabric grow bags is that they dry out quickly, especially when they sit on top of a blacktop driveway. (Even if they are elevated with bricks!) 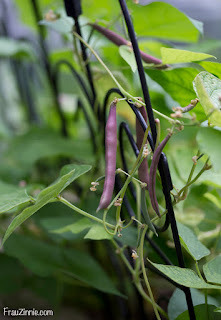 I do not have drip irrigation set up and I often came home to dried out containers. That's why I was really intrigued to try out the Eco Garden System when the company reached out to me in May. I had a spot in my driveway where I was never able to grow food, and I thought this would be a great location to try out this innovative product. 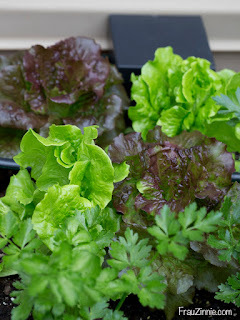 As a test I purchased small celery plants that had been started in six packs, and planted six in the Eco Garden System and three in one of my fabric grow bags. I wanted to see if there would really be a difference growing edibles in the Eco Garden System as opposed to my old way of doing things. When the growing season was over in Connecticut (late November) I dug up the celery plants from the grow bag and from the Eco Garden System. I couldn't believe what I found. 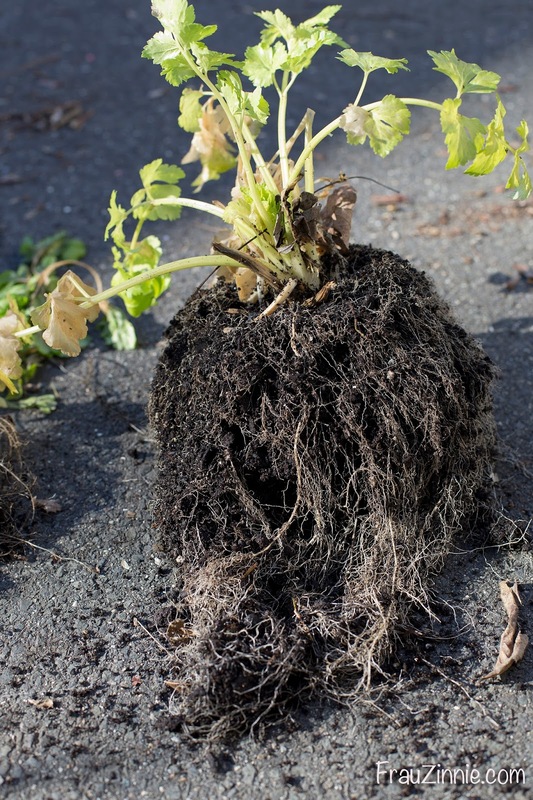 When it was finally time to remove the plants and prepare the Eco Garden System for winter, I was surprised —and delighted — by what I unearthed. 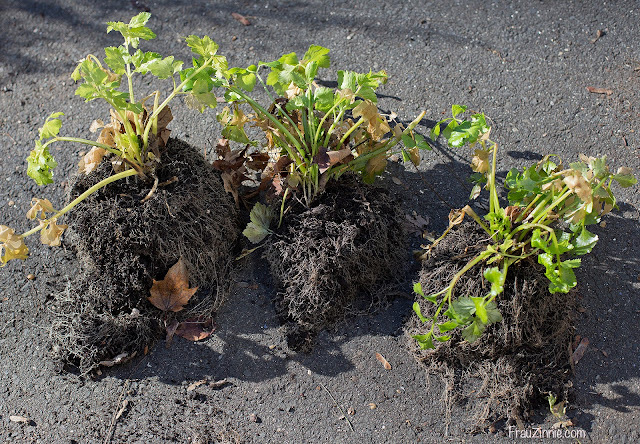 The roots on the celery that were grown in the grow bag (upper left) are half the size of the plants grown in the Eco Garden System (upper right). Not only were the celery plants still healthy looking (if the weather stayed warmer I think I could have eeked out a few more weeks!) 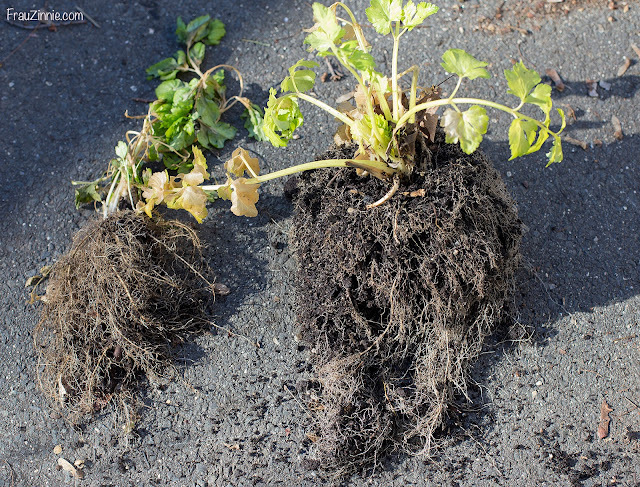 but the root systems were double the size of those grown in the fabric grow bags. The two largest plants from each container planting are shown above. The upper left plant is the largest one from the fabric grow bag. The upper right plant is the largest one from the Eco Garden System. I believe the reason for this major difference between the two growing mediums is due to the Eco Garden System's built in water reservoir, which (obviously) encouraged root growth! Even though the Eco Garden System has the ability to self-water when connected to a hose, I found that the water reservoir that exists at the bottom of the unit stored enough water throughout the summer to keep my soil moist and the plants happy, even on the hottest of days. If I didn't get home in time, it didn't matter. The plants were fine — not stressed at all, unlike the plants grown in the fabric grow bag. 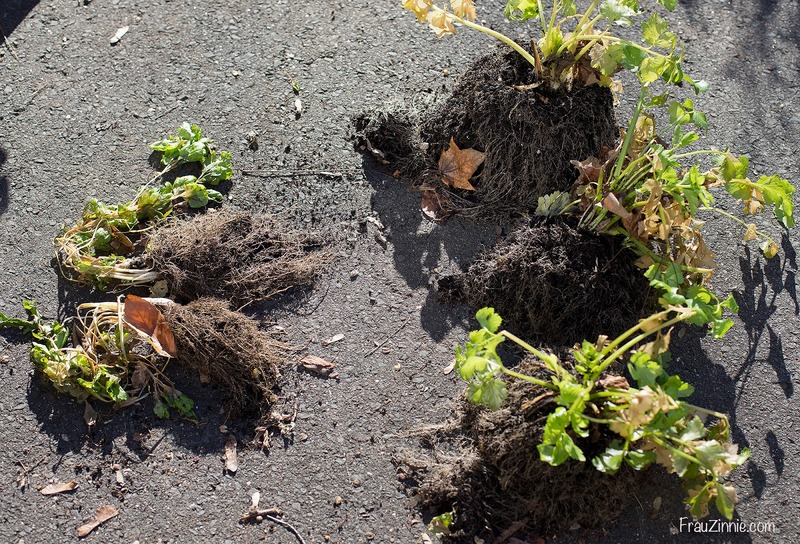 The driveway heat didn't affect the plants negatively, as plants grown in other containers closer to the ground and sitting directly on the driveway would. The height of the Eco Garden System — 39 inches high —makes it easily accessible for gardeners who have trouble bending or getting close to the ground. At 50 inches wide and 74 inches long, the entire unit is large enough to grow a variety of plants but easy to reach into the center at any given point. Growing your own food saves money at the grocery store, too. I was happy to save money on organic celery because I was growing my own steady supply with little effort. 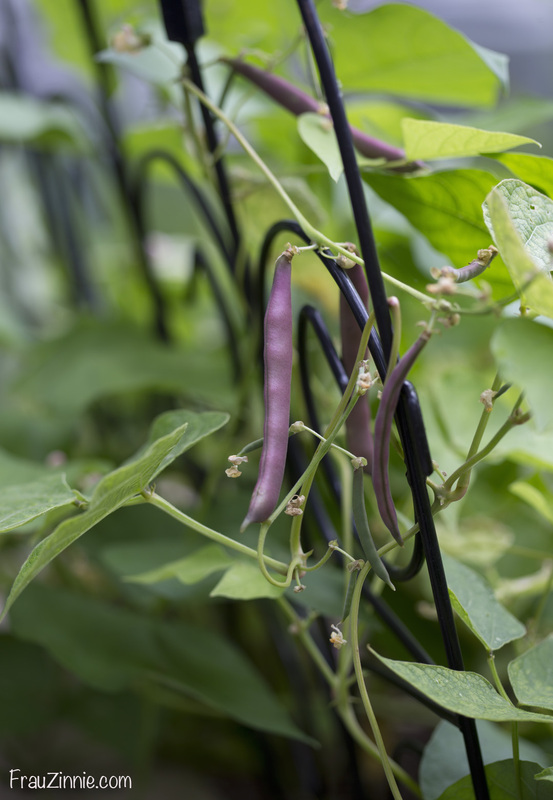 I had success growing not only celery but also gorgeous heads of lettuce (when it was past cool crop season), bush beans and even edible flowers. I was sent the original Eco Garden System which retails at $2,195.00. The entire raised bed is made from recycled materials – including milk jugs – from the United States. The recycled plastic is certified food safe by the USDA and the FDA, which means there are no bad plastics leaching into the soil where your edibles are growing. 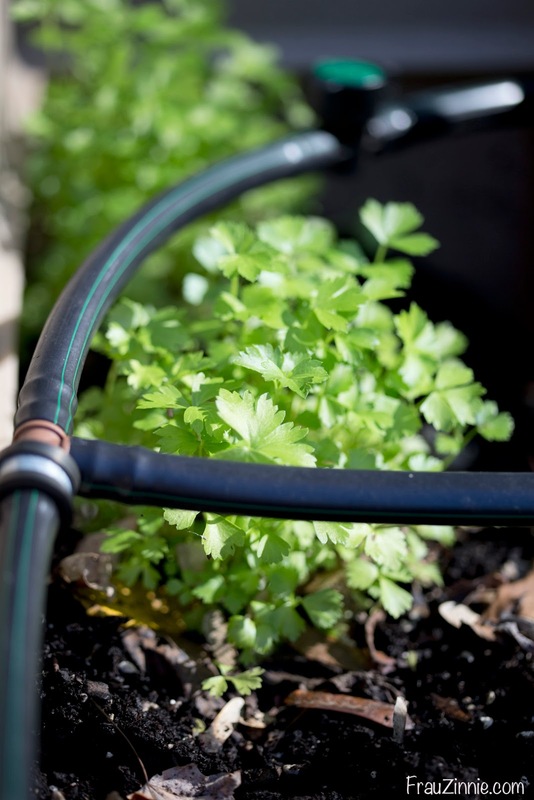 I've prepped mine for winter by draining the water reservoir and disconnecting my garden hose. 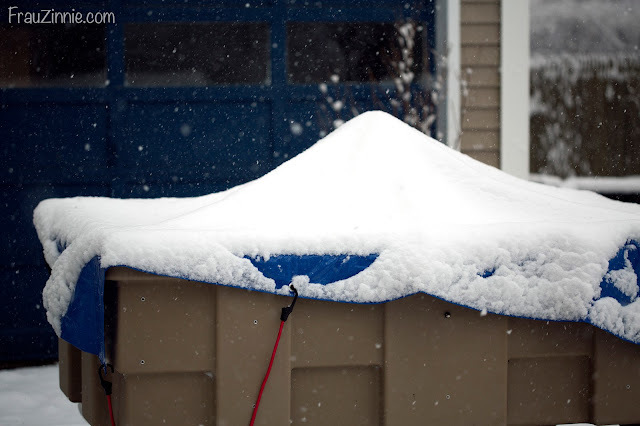 To protect the soil and the self-watering equipment for the winter, I went to the hardware store and purchased a blue tarp to cover the top. I bought elastic cables to secure the tarp to the legs of the unit so it will not be affected by wind. I did have to go back and put a small trellis in the center of the unit to help rain and snow drain off the top. However, the company is working on creating a cover for winter use — and the sneak peek of photos I've seen makes it look way classier than my blue tarp! I received the unit in June, which meant I had to plant quickly to get in on the current growing system. For 2018, I can't wait to take advantage of the early spring growing season. When I visited California back in August for the veggie trials as an NGB Plant Nerd (#NGBPlantNerds), I learned about many new varieties of vegetables that perform well in containers, such as tomatoes and peppers. Now that I know what potential my Eco Garden System holds, it makes me even more excited to plan for next year's garden. The hard part will now be deciding what to grow, instead of trying to figure out how to grow it!